The attorney-client relationship is a complex one, but is necessary. Clients must feel comfortable with – and have confidence in – their attorneys. When a customer feels that a lawyeris not representing his or her best interests, he or she may feel the need to switch attorneys. Once a personal injury lawsuit has been initiated, switching attorneys is not always easy. However, it is important that you have a lawyer whom you trust, and one whom you feel is working for you. You should never be afraid of switching attorneys mid-case, especially if you feel it is necessary. You have the right to change lawyers mid-case. However, you will have a contract with your current personal injury lawyer. A judge will not force you to remain in that relationship against your will. So, if you feel that the lawyer is not offering the representation that you deserve, you can find another attorney. 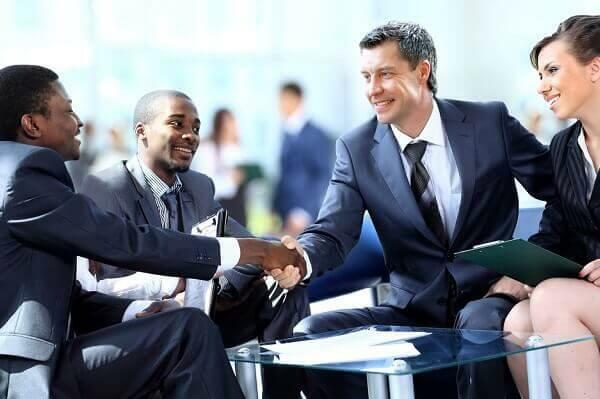 When you meet with other attorneys during consultations, let those lawyers know that another currently represents you, but that you are looking to replace counsel. Once you have hired an attorney, you must notify the current lawyer of his or her dismissal. Is it Easy to Fire an Existing Attorney? How Much Will it Cost? While you have the right to discharge your current attorney, you still have an obligation to pay that attorney for the work that has been conducted, unless he or she signs a waiver stating that there is no work to be paid. For example, say you hire an attorney with a contract fee of 33.3 percent. You discharge that injury lawyer and hire a second attorney. The second attorney is successful and wins a settlement of $100,000 with the same contract fee. Your first attorney will likely file a lien against the settlement to receive compensation for the time invested prior to your switch. You would still receive the same client share, because the second attorney would pay the first attorney’s fee from his or her compensation. Do You Need to Switch Attorneys? Your current attorney did not explain the strategy. Your current attorney has not conveyed the value of your case. Your current attorney fails to return your calls, even after 48 hours have passed. You rarely speak to your current lawyer; instead, you work with a case manager. Your current attorney does not have outside referrals for care. You should first attempt to address these issues with your current attorney. If you are still not satisfied with the service you receive, or if your attorney does not fix these issues to your satisfaction, then you can fire him or her and hire a new attorney. The act of firing an attorney is quite simple. Once you have retained a new attorney, you will notify the other attorney via writing about your decision. You should call his or her office to ensure that the dismissal is received and noted. You should also notify the insurance company that the first lawyer no longer represents you, so as to ensure your case is not settled by an unauthorized attorney. What if There is an Offer in Place? If there is an offer by the insurer, the contract entitles your first attorney to his or her fee. You cannot fire your first attorney and accept the offer, because the attorney can file a lien against it. Before accepting the offer, you will want to speak to and hire your new attorney so that you can receive assistance with these complex, and highly common, issues. Recently, Van Sant Law, was contacted by a client who was working with another lawyer on his personal injury claim. He felt that the attorney with whom he was working was not representing his case. This client then asked Van Sant Law, to step in mid-case. While the process did take our team longer than expected, we were able to get our client a higher settlement value than he thought he would get. Having an attorney you trust – one whom you know is working for you – is critical. If you need an advocate for your car accident case, turn to the team at Van Sant Law, today. We are here for our clients, and we protect our clients’ rights to request compensation. Schedule your free consultation now at 404-991-5950 or request an appointment online.